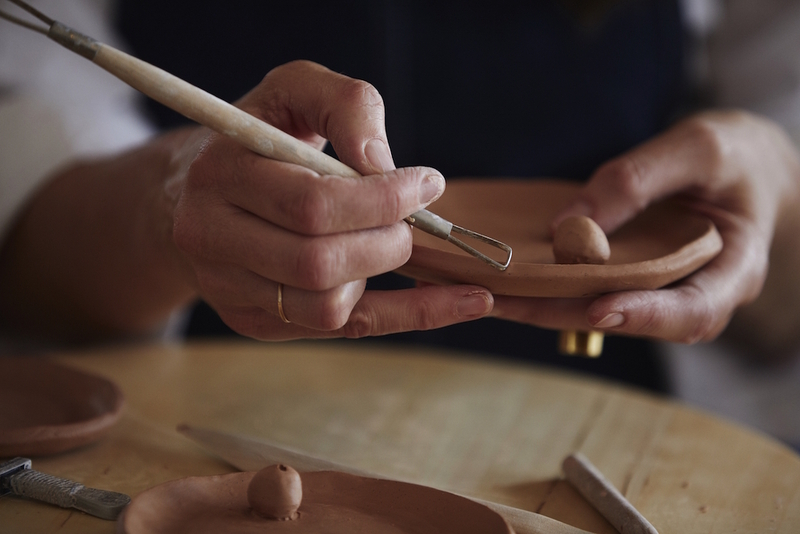 Hi I’m Catherine Field, the maker behind Splendid Wren Ceramics. Growing up on a farm, surrounded by nature, I spent a lot of time making mud pies in the dams and creeks, and now I get to work with clay every day. It is lovely reconnecting with that side of me and it is very earthing. It is a peaceful and meditative process. I hand build most of my pieces and love experimenting with clays and glazes to get different textures, finishes and degrees of speckle. My work with clay has enabled me to slow down the pace of every day life and embrace the small joys, in particular being present for my young family. The name Splendid Wren Ceramics came about because the little blue wren was my dear mother's favourite bird. My mother was a very creative woman, always making wonderful things with her hands and working in various mediums. I feel that she would be very proud if she could see what I am doing now. 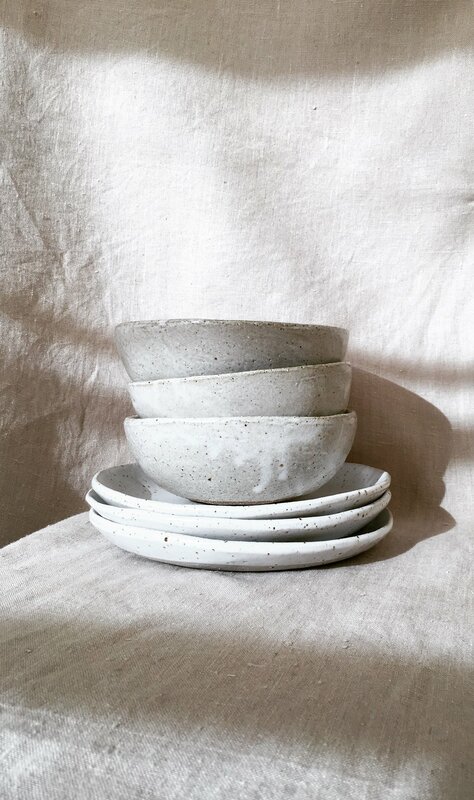 The Splendid Wren Ceramics range of handmade homewares focuses on functional simplicity. Each unique piece is made using traditional hand building techniques from a range of stoneware clays, then bisque fired to 1000 degrees before being glazed with natural, earthy glazes. The glazed piece is then fired again to 1260 degrees. Like all good things, this process takes time. The high-fired stoneware temperatures ensure durability for everyday use. No two pieces of Splendid Wren Ceramics are the same, yet they fit organically together. You may notice a finger print or makers mark reminding you of its uniqueness. All Splendid Wren Ceramics pieces are handmade and as such every piece is unique. When ordering quantities of any piece they will look lovely together but they will not be identical. If you are looking for something in particular email me hello@splendidwrenceramics.com and I can let you know which of my stockists might have it. All Splendid Wren Ceramics stoneware pieces are high fired and glazed with lead-free, food safe glazes. They are food, oven and dishwasher safe however I suggest you hand wash to ensure they stay lovely longer. Splendid Wren Ceramics exists to produce beautiful handmade ceramics which bring happiness to those who use them. As a maker I support conscious consumption and believe in products that will last a lifetime. I do everything that I can in my work to be as sustainable as possible, I use locally produced materials, I recycle and reuse clay and other materials such as packaging to minimise waste.